The Harris Conservatory for the Arts, a 501 (c) (3) organization, was formed to serve as a cultural center for the arts, and to act as a resource for children, adults and artists who seek to enrich their lives through arts education and activities. The goal of the Conservatory is to provide services to the underprivileged and disabled in the hope that everyone will have the opportunity to benefit from experience in the arts. Our organization believes that the arts can positively change lives and reach those who cannot otherwise be reached. 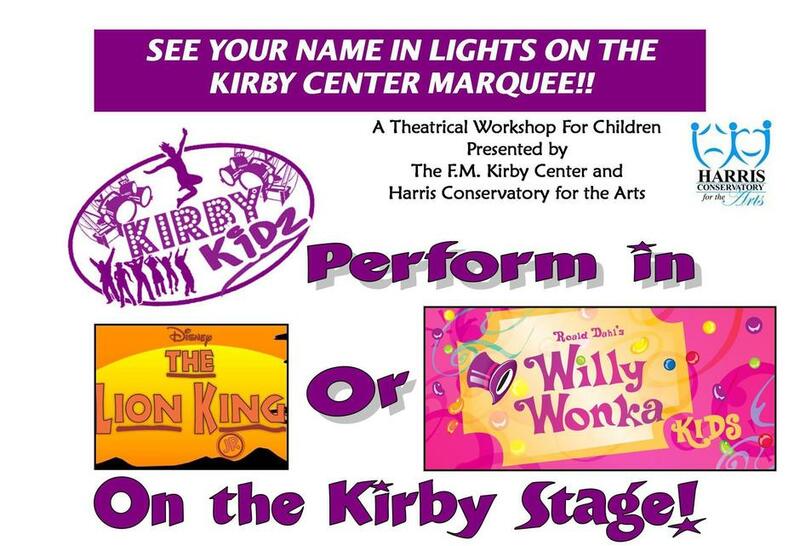 Perform on the Kirby Stage!! WEDNESDAY 5:00 P.M. TO 8:00 P.M.